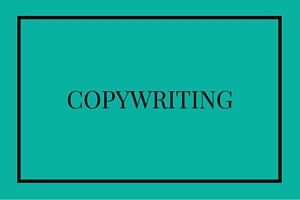 Looking for a Copywriter in Surrey, West Sussex, London or beyond? Excellent copywriter. Terrible ice skater. I’m terrible at ice skating. Because I appreciate my limitations and with my complete lack of balance and coordination I knew that ice skating wasn’t the best career path for me. What I love is writing. For me, there is nothing more satisfying than knowing that people are reading the copy I have written. I appreciate that not everyone is like me, though, and while ice skating is just not my forte, writing might not be yours. That’s why you need my help. Ask me what I’ve already had published and you’ll hear some very well known household names. Without knowing it, you may even have seen some of my work in print already; in books, magazines, travel guides and business guides and on advertising for large, public events and in the main retail outlets. Words I’ve written have even appeared on Kellogg’s cereal boxes! To find out more about the people and businesses I have worked with, or to speak to me about any aspect of copywriting, writing for print or writing for digital, please get in touch. Size doesn‘t matter. It’s what you do with it. Being a good copywriter isn’t about writing loads and loads of words – it’s about capturing attention by using the right words. Much of my writing focuses on creating powerful digital content, from short advertising copy to SEO website copywriting and engaging and thought-provoking blog writing but I also write for newspapers, magazines and business guides… I’ve even got a few internationally published books to my credit. Whatever your business, I’m confident that I can find the perfect words to promote it. I never begin writing without thoroughly researching the topic in question, and I never put pen to paper, or fingers to keyboard, before discussing your objectives and considering the appropriate tone of voice and style of writing to achieve them. Contact me with details of your project and let me show you what gives me a creative edge. Where copywriting is concerned, put simply, I can do it better than my competitors. Arrogant? No. I just really am that good. … and I really am working on Antarctica.